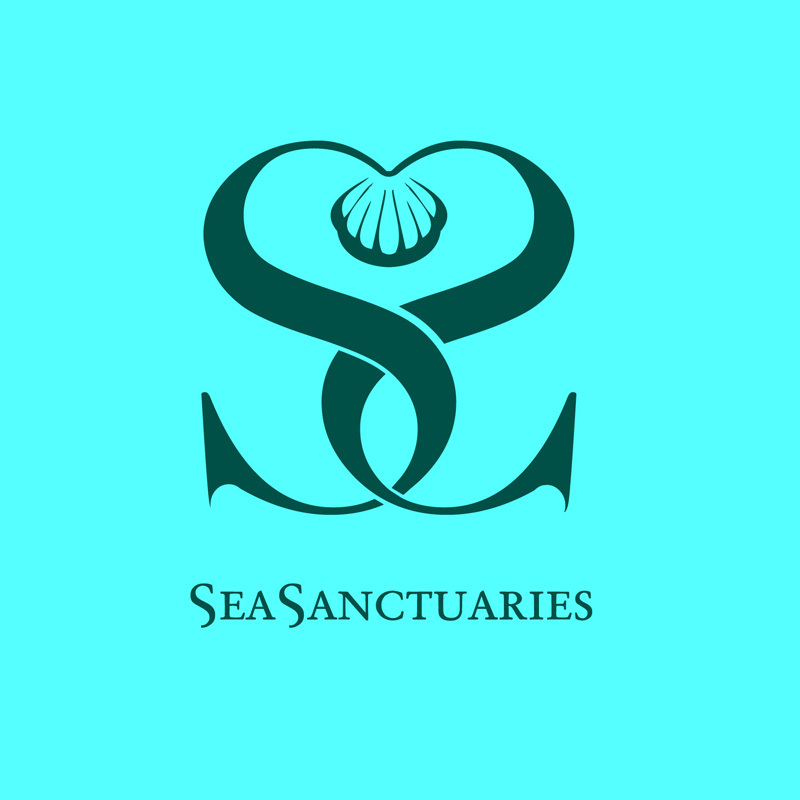 Sea Sanctuaries has created a Scientific Advisory Board to help us in our conservation mission. We are fortunate enough to have 3 of the world's leading tropical marine scientists join us. Dr Mark Erdmann is a senior advisor to Conservation International’s Indonesian Marine Program. His specific focus is on improving the conservation and science-based management of the ultra-diverse coastal and marine resources of the Raja Ampat Corridor within the Bird’s Head Seascape in Indonesian Papua. You can find out more about what Mark has done in the 'Who Are We" page. 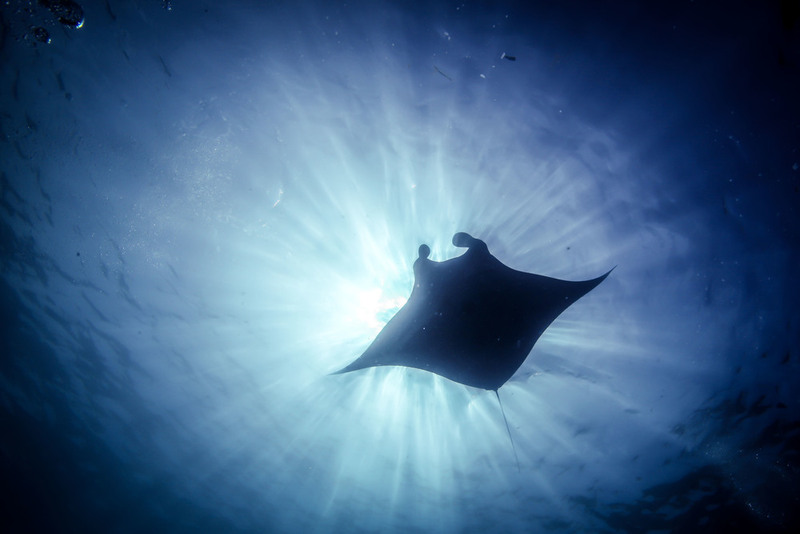 Recently Mark lead the Conservation International team which has worked with the Government of the Republic of Indonesia to grant Indonesia's Manta rays full protection. Here is the recent press release from Conservation International about Manta protection. "Arlington, Va. USA/Jakarta, Indonesia –Indonesia, a nation that has been the world's largest fishery for sharks and rays for nearly three decades, announced today legislation that will fully protect all manta rays within its nearly 6 million square kilometer exclusive economic zone (EEZ), making it the largest sanctuary for both species of manta rays in the world. Conservation International (CI) and its partners welcomed the bold legislation, which has come at a crucial time for mantas, whose global populations have declined precipitously over the past decade and are now considered "Vulnerable to Extinction" by the IUCN Red List of Threatened Species. The decision was influenced by a review conducted by Indonesian Ministry of Marine Affairs and Fisheries (MMAF), the Indonesian Institute of Sciences, CI and coalition of conservation organizations. The review included findings from a recent study, led by WildAid, The Manta Trust and Shark Savers, that reveal a single manta ray is worth an estimated US$1 million in tourism revenue over the course of its lifetime versus its value of $40-$500 if caught and killed. "As the world's largest archipelagic nation, it is important for Indonesia to maximize economic returns from our marine resources,” said Sharif Sutardjo, Indonesia's Minister of Marine Affairs and Fisheries. This action will fully protect both species of manta rays in Indonesian waters and ensure improved management of their populations." The demand for manta rays and their Mobula ray relatives has increased in the past decade and led to dramatic declines worldwide. Manta rays were added to the Appendix II list of the Convention on International Trade in Endangered Species (CITES) in March 2013. This listing requires the international trade in mantas or their body parts to be strictly controlled to prevent overexploitation and extinction. “Tourism and fishery values of mantas are at direct odds with one another and we need to make a choice,” saidDr. Tiene Gunawan, Conservation International's Indonesia Marine Program Director, added " The economics make our decision easy: we now know that a living manta ray is easily worth at least 2,000 times more alive." Indonesia is one of the few places in the world where both species of manta ray (the oceanic manta ray Manta birostris and the reef manta M. alfredi) can be readily observed by tourists. Their up to 25-foot wingspan, docile nature, intelligence and grace in the water make them a top marine tourism draw. "Indonesia now has the second largest manta ray tourism industry in the world, with an estimated annual value of over US$15 million,” Agus Dermawan, the Director of the Ministry's Marine Conservation Directorate. “Given the huge area of reefs and islands in our country, if managed properly, Indonesia could become the top manta tourism destination on the planet." 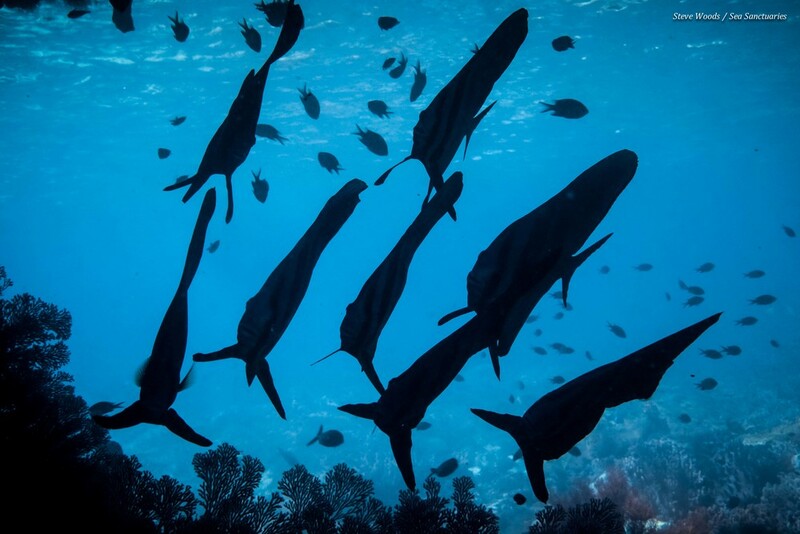 This national ban on Manta fishing comes less than a year after local Indonesian regency governments, including the top marine tourism destinations, Raja Ampat and West Manggarai declared shark and ray sanctuaries throughout their entire territorial waters. With this new regulation, a total of four species of sharks and rays, along with whale sharks and sawfish, are now fully protected in Indonesian waters. The Ministry is now considering expanding protections to other threatened shark species such as hammerheads and oceanic whitetip sharks. "The action by local governments helped jumpstart public discourse on the fate of sharks and mantas in Indonesia," said Erdmann, "Those protections, though ground-breaking and extremely important, were not sufficient. Mantas are highly mobile and frequently migrate out of these sanctuary areas. These vulnerable animals require national level protection and we're delighted the Indonesian government has taken this visionary step." In protecting its manta rays, Indonesia joins a growing list of countries and states that have granted full protection to at least one species of manta: Australia, Ecuador, the Maldives, Guam, Yap, Palau, the Philippines, New Zealand, Honduras, Mexico and the US states of Hawaii and Florida." Exciting things have been going on at Sea Sanctuaries recently. A new species of fish has been discovered and it has been named after one of our founders Helen Newman, leader of the survey that led to the discovery of this species. The fish has been named after her for her tireless conservation efforts on behalf of Raja Ampat and its indigenous communities over the past decade..
Helen is a Marine Biologist who has worked in SE Asia for more than 30 years and co-founded Sea Sanctuaries with Simon Day. 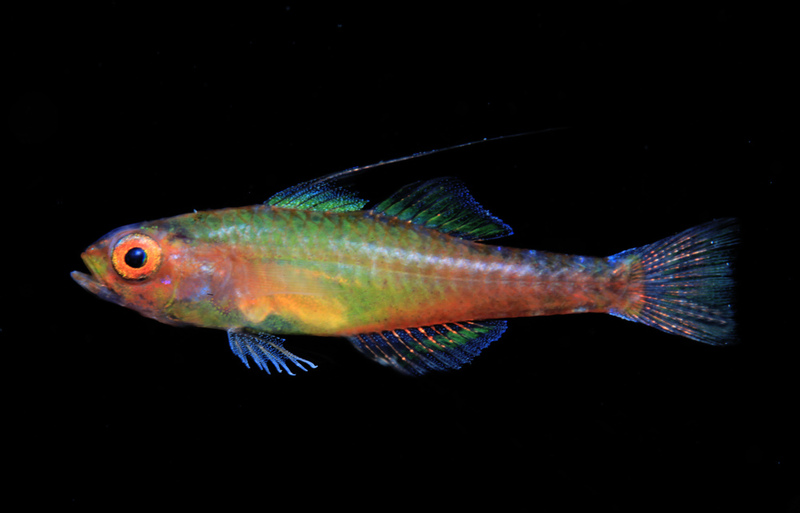 The new species of Trimma helenae, was discovered by Dr Mark Erdmann, who is on our Scientific Advisory Board, in the southeastern lagoon at Penemu. The new species has a unique colour pattern, consisting of a yellow anterior half and red posterior half, with four small white spots along the midline of the dorsal and ventral surfaces of the caudal peduncle. T. helenae belongs to a group of 12 valid nominal species defined by having a broad bony interorbital region (width 80– 100% of pupil diameter), but differs from all of but three of these in having only cycloid scales in the midline and on the sides of the nape. The other members of the group have mostly ctenoid scales in this region. We also need to say thank you to Dr Gerry Allen, who is also one of our Scientfic Advisers, for his role in the discovery. Credits are due to Mark & Gerry for the Paratype and Holotype images you see here. Yesterday, January 28th 2014 was a momentous day for our beloved Manta Rays. After years of constant work, both Manta biostris and Manta alfredi (the largest species of ray in our oceans) have been protected under Indonesian Law. This incredible news was announced by the Fisheries and Maritime Affairs Minister Sharif C.Sutardjo. "Mantas are our asset as an attraction for maritime tourism in Berau [East Kalimantan]; Komodo Islands in East NusaTenggara; Nusa Penida, Bali; and Raja Ampat [West Papua]," said Sharif. This shift in the attitude towards one of the most graceful marine animals that graces the oceans around Indonesia comes not a little too late. This is due not only to the hard work of organisations such as Aquatic Alliance, Manta Trust, Project Aware, JAAN, Gili Eco Trust (and many others) but also due to the incredible support of you, the reader, the viewer, the audience that likes, comments and shares images and stories about Manta Rays and their importance and conservation as well as many other animals marine and terrestrial that need our help. How this will trickle down to the grass roots and the local population we don't know yet. However we all hope that all parties can make this a realistic achievement. It will also hopfeully stop the mindless slaughter of Manta Rays at fisheries all over Indonesia. It is all too harrowing a sight. Raja Ampat is has one of the highest frequencies of Manta activity in Indonesia and we hope that this, in future years, will have a positive impact on their population. Here is the article from the Jakarta Post that broke the story on Tuesday 28th. The Fisheries and Maritime Affairs Minister has declared the reef manta ray (Manta alfredi) and oceanic manta ray (Manta birostris) as protected fish species as they are facing an increased threat of extinction. During the last 10 years, the reef manta ray and oceanic manta ray populations have experienced quite an extreme decline of between 33 percent and 57 percent. The decline has mostly occurred in areas where mantas are hunted by traditional fishermen in Nusa Tenggara waters such as in Alor, Flores, Lamakera, Lamalera and Lombok. They catch around 900-1,300 manta rays annually. However, manta rays face the threat of extinction primarily due to overfishing driven by the high demand for their fish gills being used as traditional medicine in China. "Mantas are our asset as an attraction for maritime tourism in Berau [East Kalimantan]; Komodo Islands in East Nusa Tenggara; Nusa Penida, Bali; and Raja Ampat [West Papua]," said Sharif. One individual manta ray can contribute an economic value of Rp 9.75 billion (US$799,500) throughout its life, whereas dead the fish sells for only Rp 1 million each. 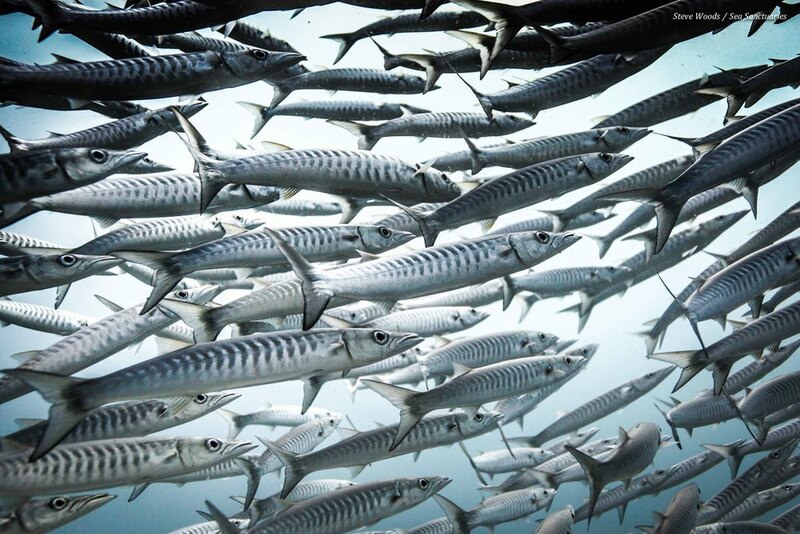 (ebf)"
According to Fishbase (the largest global species database of fish) there are 32,700 different species of fish that have been classified by August 2013. It is estimated that roughly 250 new species are described every year. 1,669 of these fish species can be located in Raja Ampat. This is incredible as this is a much higher number than the Great Barrier Reef which inhabits a much larger area and is widely regarded as a diving mecca. 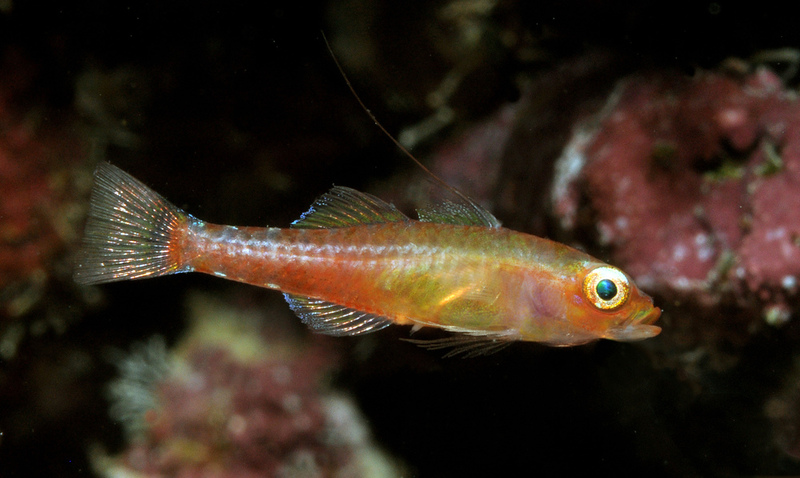 Last Year we discovered three new species of fish in our no take zones proving just how important the marine area is. In 2013 we were fortunate enough to have Dr Gerry Allen, the regional authority on fish identification and classification & Dr Mark Erdmann , Head of Conservation International's Bird's Head programme conduct a 4 day rapid assessment survey of our No Take Zones. They discovered three new fish species & a further 7 fish species were noted as 'beyond their normal distribution ranges'. In just 4 days and 11 sites, the scientists recorded a total of 707 fish species in the 5,600ha Penemu protected area. They were amazed that the average number of species on the sites was 281 species (considered exceptionally diverse) and 3 sites had over 300 species. One site had a truly staggering 357 species on one dive (the second highest fish count ever recorded on one dive). Aside from its location in the bullseye of the Coral Triangle, Sea Sanctuaries conservation areas contain a wide range of habitats from steep walls and fringing reefs to mangroves and lagoons. This is one of the reasons for the exceptionally high biodiversity. In Raja Ampat, we have a wide and varied pool of reptiles. This is due to the presence of varying habitats that support lots of different prey items for the reptiles that are largely carnivores. 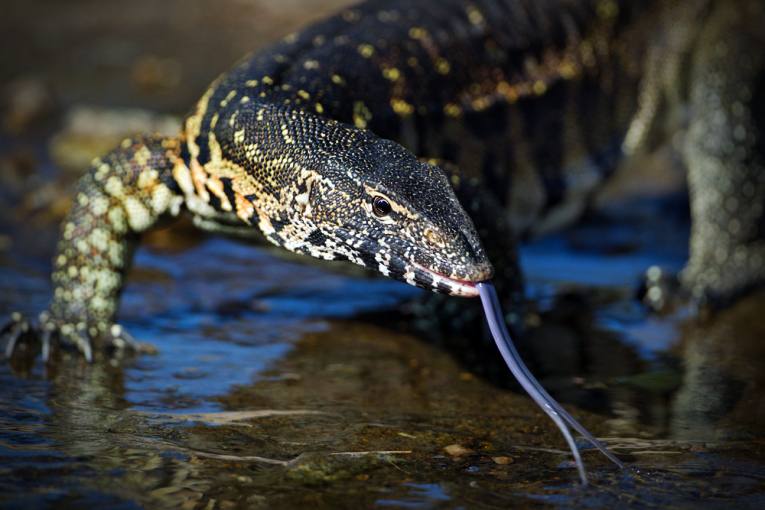 One of the most charismatic reptiles that we see regularly when we are walking through the jungles and rainforests are Pacific Blue-Tailed Skinks. 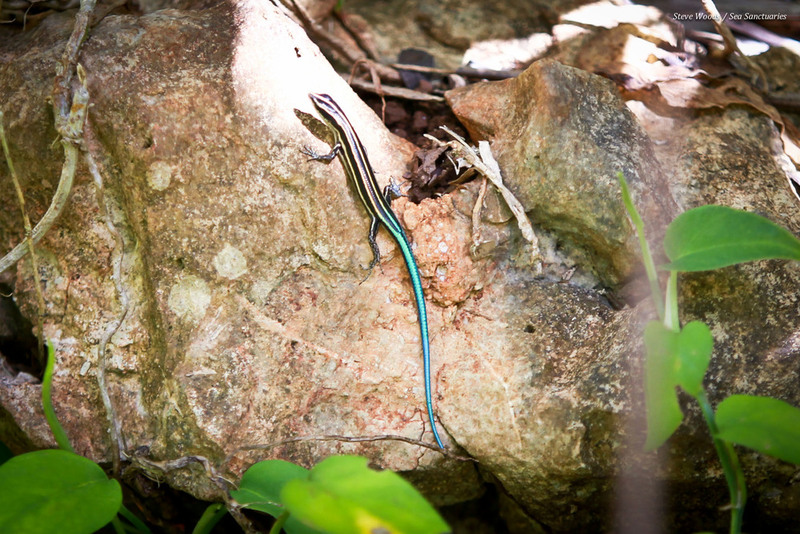 Blue-tailed skinks are usually about 4 to 8 centimetres long. When they become frightened they have the ability to pop their tail off and it will continue to wiggle and distract their predator while they run away. This is an incredible and ingenious evolutionary adaptation. When you encounter them you can actually see their tails dancing wildly just in case you are a predator. We have discussed the local skinks with reptile expert Nick baker and he belives that the one found in Fam is a Raja Ampat variant specific to our area because of the colouration of its feet! This is just one of the numerous reptiles that we see regularly, we recently discovered what may be a new species of snake too, you can see the details of that expedition here – New species of Snake! A new species of snake? Normally we blog about marine conservation but just sometimes we step on to land occasionally. Why? Well because the marine environment is inexorably connected to the terrestrial one. Without one the other doesn't function. There are plenty examples of jungles & mangroves being destroyed and resulting sedimentation killing coral reefs. Recently we were ashore on the neighbouring island of Waigeo & chanced across this beautiful snake. Curious to know what species it was we tried all on line sources of information we could find.....but just couldn't identify it. At a chance meeting with our friend Nick Baker, a leading ecologist in Singapore & help from his friend Dr Mark O'Shea (from London Zoo) we found that it was an undescribed species which in the dry language of biologists shouts to the layman.......NEW SPECIES. 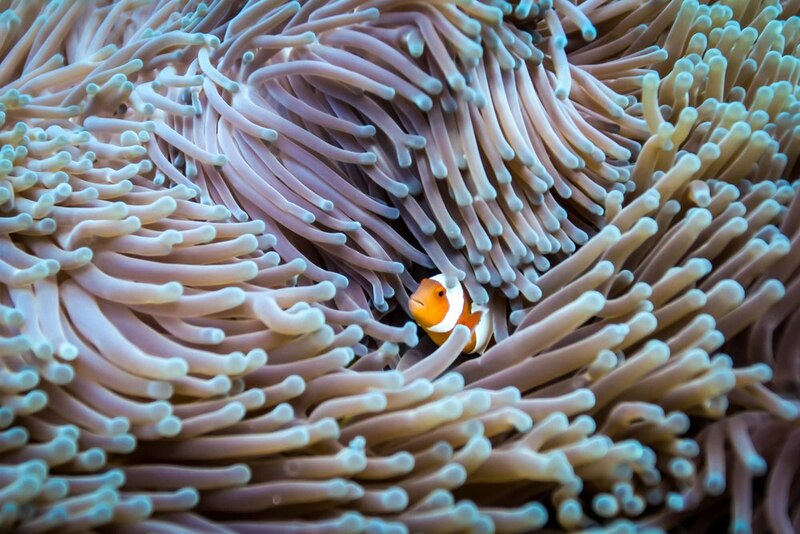 Sea Sanctuaries have worked with the University of Papua, the Smithsonian Institute, UCLA & Conservation International to install some "biodiversity hotels" in key areas. These sampling devices are known as "ARMS", and they are made of laminate plastic and anchored into the sand/rubble with stainless steel rebar/cable & as you can see from the photo the stacks of plates serve as a "hotel" that invites all kinds of reef animals to settle in - crustaceans, molluscs, bryozoans, worms, corals, even fish. This technique was developed by the US government agency NOAA as a way of conducting standardized marine biodiversity sampling around the world. As part of our conservation programme we work with organisations like Conservation International & help them carry out Rapid Assessment Programmes where we count all the fish and corals. Over the past decade this has clearly shown Raja Ampat to be at the top of marine biodiversity globally, however, it has only focused on fish and corals. The idea with the ARMS is to use a more standardized sampling technique that focuses on all the invertebrates especially. They are installed at two depths (10-12m and 30m) and some are recovered after 1 year, while the rest recovered after 2 years. When they are recovered, literally every single animal that has taken up residence is counted, photographed, and identified, giving a standardized measure of biodiversity for the area. Because the ARMS need to stay undisturbed for 1-2 years we have installed them in sites that won't be subject to lots of liveaboard divers or diving fishermen who might vandalize them or steal the stainless steel hardware. On our way back from the Wilson's Bird of paradise trip (see our post on 29 Dec) we were sipping local aromatic Papuan coffee in our long boat watching the sun rise & the mangroves glide by when we saw splashes & spouts ahead & this is what we saw. When we first decided to help the local village communities of the Fam archipelqgo make virgin coconut oil (VCO) & soap we did not expect it to end up with a musical note. Our intention was to help the local villages establish small businesses to provide them with a reliable, sustainable and environmentally sensitive income and act as an alternative to income derived from shark finning and other destructive fishery practices. The project has worked well over the last 12 months and now there is a constant flow of VCO & soap out of the village and income into the villages. Usually the VCO which is sold to local resorts and liveaboard dive boats is used for massages, health tonic or even in salads, however, we did not expect it to have a musical use. Chris Hamilton & his wife Leah who manage nearby Papua Paradise resort kindly stock village VCO & soap and help Sea Sanctuaries in myriad other ways. They sell the products to their guests and there is a steady flow of income to the Fam communities. Just before Christmas we were speaking to Chris & we were surprised to discover that he uses the VCO to oil the wood of his hand made violins. In between managing Papua Paradise resort Chris finds time to take amazing wild life photos and make beautiful violins from roof timbers of old village houses. We took some photos of Chris in his workshop and playing his hand made violin on the beach oiled with Sea Sanctuaries virgin coconut oil. Chris said if you are going to hand craft a beautiful musical instrument then you have to use the best oil. Thanks to Chris & Leah for all the support you have given us. As you will see from the picture the Penemu No Take Zone Lookout Post is starting to take shape thanks to the tireless hard work of Tertius Kammeyer of RARRC & big thanks go out to him. We have another carpenter/adventurer join us in late January to finish the Post off. Once it is operational it wil be the centre piece of protecting the eastern side of the Penemu NTZ. The Lookout Post has been a much harder job than we first anticipated and has taken longer and cost more than we originally thought. The location is a very tough build proposition. It is built high on a remote, isolated island up a nearly vertical limestone karst hill. The constant winds have proved a challenge to roof construction & weather (whether rain or heat) has added to the difficulties. We are working with the local villages of Pam, Saukabu & Saupapir, who own the adat rights to the local seas, to help them create a sustainable fishery. Initial discussions have taken place with the village leaders and preliminary dive/snorkels have also taken place. This is a very exciting project. The signage demarking the no take zones has been prepared ready for installation in March. These are necessary to advise all fishers and visitors that they are in a no take zone and exactly where the limits of the NTZs are. There will be signs in each village and strategically placed around Penemu and Bambu. We appreciate they are not glamorous, but they are necessary! Our first few volunteers are starting to help with our program. Hang Tuah is now fully fitted out for diving and training and baseline surveys have commenced. Beth Siddons, our Diving Instructor will be returning to UK for a spell, and we will be joined by Dr Mateus Baronio in mid-April, who will be assisting with our baseline surveys and training volunteers. If you know anyone who has a month of time spare and would like to assist us, please ask them to contact us. We just returned from our marine biodiversity survey of our two conservation zones in Raja Ampat. The survey was undertaken By Dr Gerry Allen, the regional authority on fish identification and classification & Dr Mark Erdmann , Head of Conservation International's Bird's Head programme. During their 4 day rapid assessment they discovered two possibly three, new fish species & a further 7 fish species were noted as 'beyond their normal distribution ranges'. In just 4 days and 11 sites, the scientists recorded a total of 707 fish species in the 5,600ha Penemu protected area. They were amazed that the average number of species on the sites was 281 species (considered exceptionally diverse) and 3 sites had over 300 species. One site had a truly staggering 357 species on one dive (the second highest fish count ever recorded on one dive). Our conclusion is that we must prioritise the protection & enforcement of the Penemu No Take Zone first because this is so species rich, biologically important & possibly part of the west Raja Ampat shark nursery. There is also evidence that there is more than one Napolean (Maori) Wrasse nurseries present although we need more research on this. After the Sea Sanctuaries exploration cruise ended we swapped boats and moved to Sea Sanctuaries floating field station, MV Hang Tuah, moored at the centre of our conservation area. The Underwater Earth team came aboard MV Hang Tuah to check out the Raja Ampat ecosystem in preparation for a major survey of the region in 2014. They have mapped the Great Barrier Reef & you can see their efforts on Google http://maps.google.com/help/maps/streetview/gallery/ocean/ They will be returning to the Sea Sanctuaries area in early 2014 to undertake a full survey and then post their findings on Google.